Mozilla has officially started on their newest venture called Boot to Gecko, a “complete, standalone operating system for the open Web.” They’re diving into the project with all the best intentions, looking for uniformity in application development and to streamline the complete experience provided to users. No more “fragmentation” across different devices. What works on your laptop, would work seamlessly on your mobile phone, tablet, etc. They will be using the Gecko engine which shall now be completely open source, and all work moving forward shall be updated in real-time for further development. Looks like no double standard will be coming from the workers at Mozilla who will in fact be using Google’s Android kernels, and boot drivers to initially power a device running the mobile OS. Mozilla has said that they want to take as little from Android as possible though. So this is not an OS based on Android, but merely Android is helping get this project off the ground, so in later days, it can stand on it’s own. This will in turn rival Google’s Chrome OS which has been so far limited to their line of netbooks. I have had no issue while being able to play Angry Birds or Plants Vs. Zombies at my work station using Chrome, so imagine that, but with all applications you currently have. Will people even need to leave their houses? 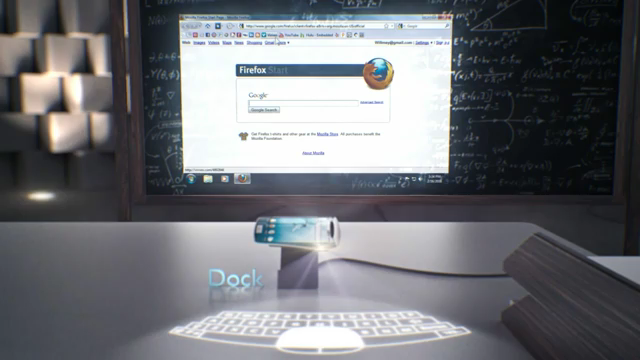 Some time ago, a video was released by Mozilla showing a concept of not only a device, but possibly of the future. Will we welcome the next mobile OS as friendly competition, or is Mozilla being naive in thinking they can compete with Google at their own game? Let us know.